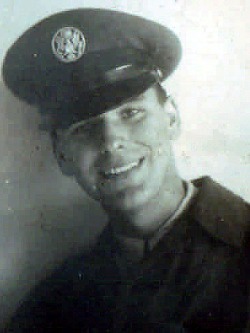 Peter Messmore served as a Morse Code Intercept Operator during most of his four years in the United States Air Force Security Service. These duties required him to have a top secret security clearance. Foreign service was on the Far East island of Okinawa. 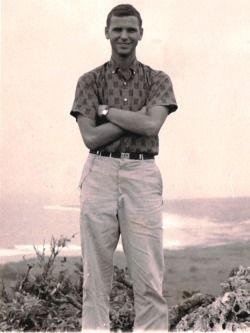 Below are some pictures of him when he was eighteen in basic training and on the Cliffs of Onna Point, above the East China Sea, on Okinawa. At Keesler Air Force Base, Radio Intercept School, 1959. Under the torii at the cliffs of Onna Point, Okinawa, high above the East China Sea.